If there is one word that sums up Jan Sandri it is commitment—to FSR, Inc., the company she co-founded; to the AV industry—especially the women—for whom she has served in various leadership roles; to the people of the town in which she lives, for whom she has worked in a variety of posts; to the political party that she has represented; and to the charitable causes that she supports. Sandri has a short resumé, having dedicated 34 years to FSR, where she is president. Previously working with business partners Bill Fitzsimmons and Charlie Rodriguez, she said, “We decided that the industry didn’t have small audio, video, and control modules, it didn’t have infrastructure products, such as floor boxes and table boxes. So the three of us formed FSR.” The company, located in Woodland Park, NJ, now employees 115 people. Having moved to neighboring Little Falls, NJ—population 11,000—from a much larger town, she recalled, “I said, ‘I bet I could get to know everybody in this town.’ So I started getting involved.” Initially sitting on the planning board, Sandri was subsequently elected mayor, later becoming police commissioner, fire commissioner, then president of the board of health. “I loved it. You truly can make a difference,” she said. 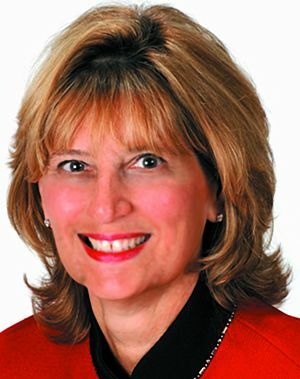 Sandri went on to become chairwoman of the Passaic County Republican Party, later representing the state at the 2004 Republican National Convention. More recently, she sat on the InfoComm board of directors and is on the board of WAVE (Women in AV).